WHILE it may look modern and somewhat understated from the street, there is something quite unexpected behind the front door of the home at 5 City View Court. Originally constructed in 1990, the solid-brick house in Mount Pleasant has had only a handful of owners and while it has undergone various updates over the years, the remaining original features give the property a feeling of grandeur. One such feature is the unique staircase in the formal entry. 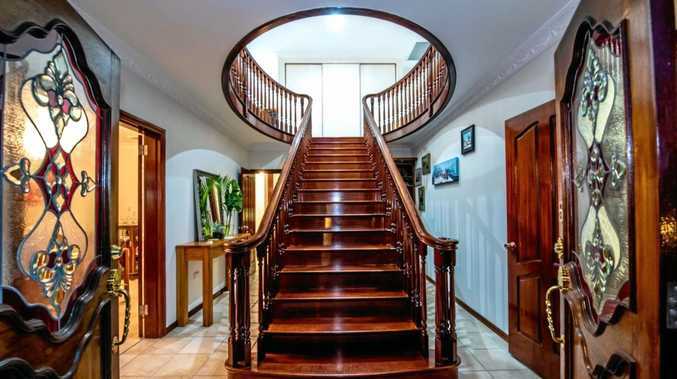 According to marketing of the property by selling agent Peter Keioskie of Mackay Property and Management Services in Paget, the staircase was built by local master craftsman 'Mr Laird' out of highly polished silky oak and boasts 130 balustrades and 16 stairs. A crystal chandelier hovering above the staircase is a sign of what is to come on the second level. There you will find a spacious living area, a refurbished bathroom, four large bedrooms and a huge master suite with ensuite, built-in wardrobe and walk-in robe. 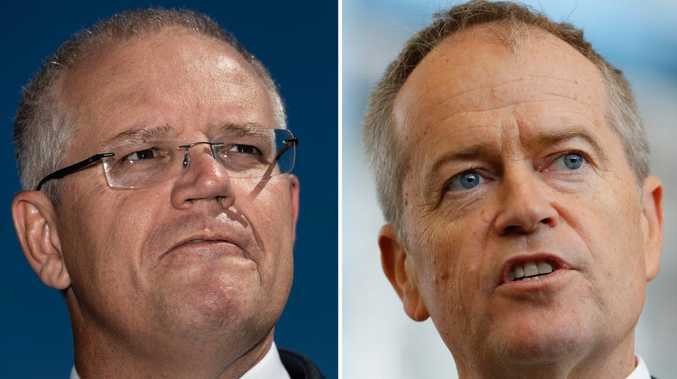 Back downstairs there is a formal lounge room, a formal dining room, a large country-style kitchen, an office, a third bathroom, a laundry, a multi-purpose room that is currently used as a gym and a family room which flows to the outside eating area. Outside you will also find a resort-style pool with water fall and an entertaining area. The property is for sale via tender. Tenders close November 26. Open for inspection Sunday, 1-2pm.